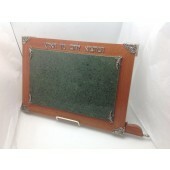 Itzhak Luvaton is a Jewish artist that creates unique Judaica artworks utilizing various materials. 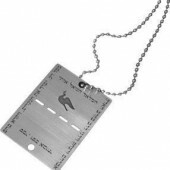 He combines old Jewish tradition with new up-to-date design. Itzhak Luvaton was born in 1963 in Jaffa-Tel Aviv. During his childhood, his parents sent him to study arts and crafts. He attended high school in the Boys Town Yeshiva in Jerusalem where he began his experience in wood work. He served in the army with the paratroopers and completed his military service as a captain. After his army service he studied silversmithing and jewelry design in Omanit, during which time he mastered engraving with an `Asir Zion` expert engraver. He also studied hammering in the Bezalel Academy. 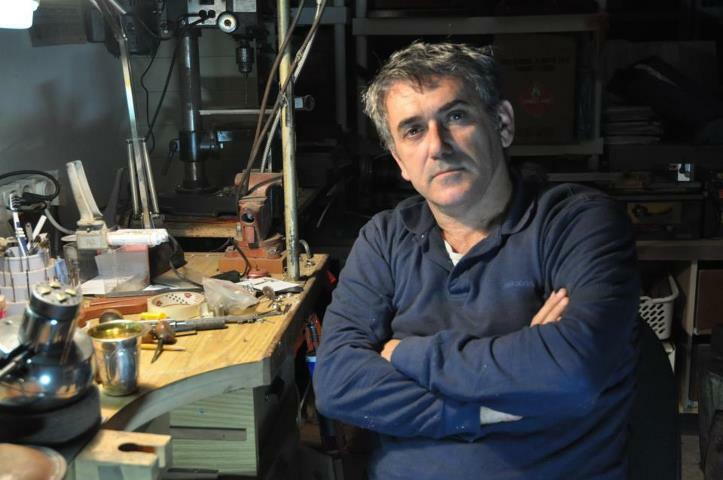 Itzhak combines in his work art, design, silversmithing, exotic woods, silver, gold and other materials.